Being a physician myself, I endorse wellness! I truly believe in the primordial level of prevention that is if we take care of ourselves right from the beginning, we may never fall ill! 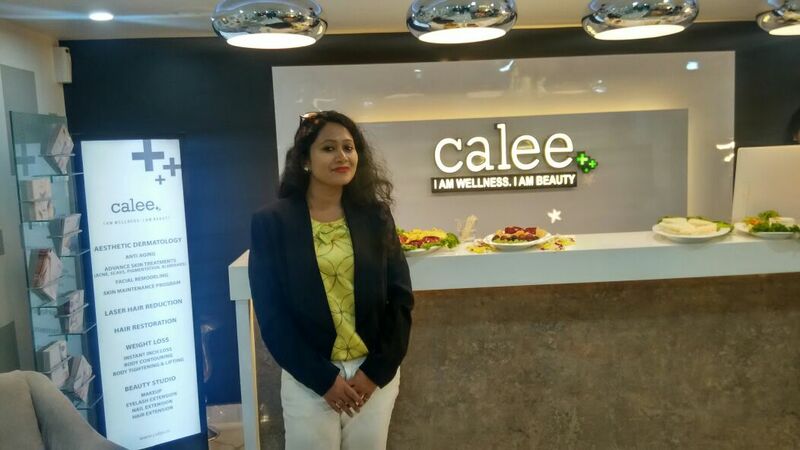 This Saturday saw the launch of a very posh Calee wellness clinic at the upscale locality of Sector 18, Noida. The launch was attended by who's and who's of the society from Delhi circuit including the names like Dharna Hassija, Musskan Agarwaal, Parull Mahaajan, Mallika Jain and more. The Calee Wellness clinic is a beautifully put up place, excellently equipped with the latest technologies which is spread over two floors. Calee clinic offers almost every type of service from weight loss Treatments to skin and hair treatments. 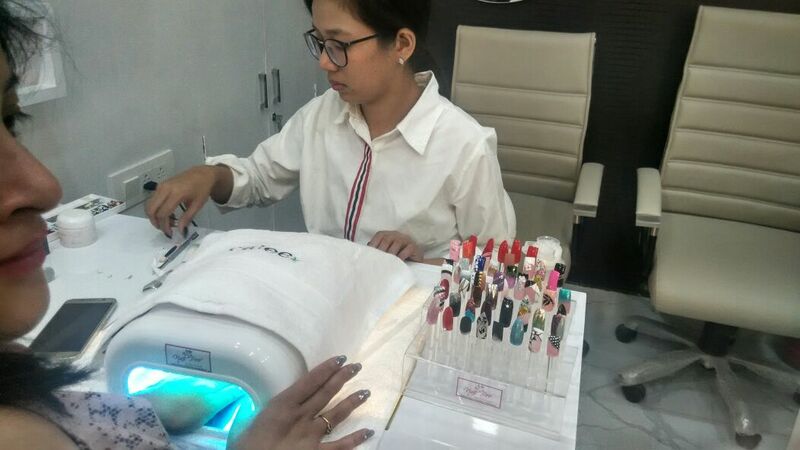 They also have a make up studio where you can get makeovers and also a nail salon where you can opt for nail extensions and nail art. 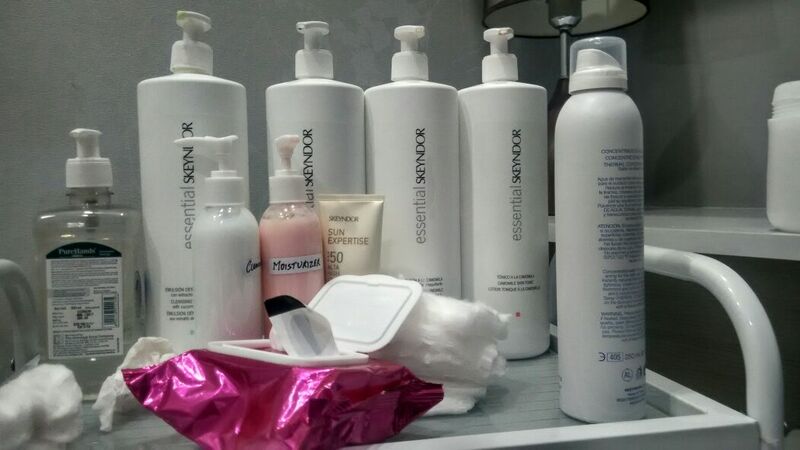 The clients are sent for the treatments only after consultation with the concerned doctor. Their USP is that the patients get customized treatments because every individual is different. 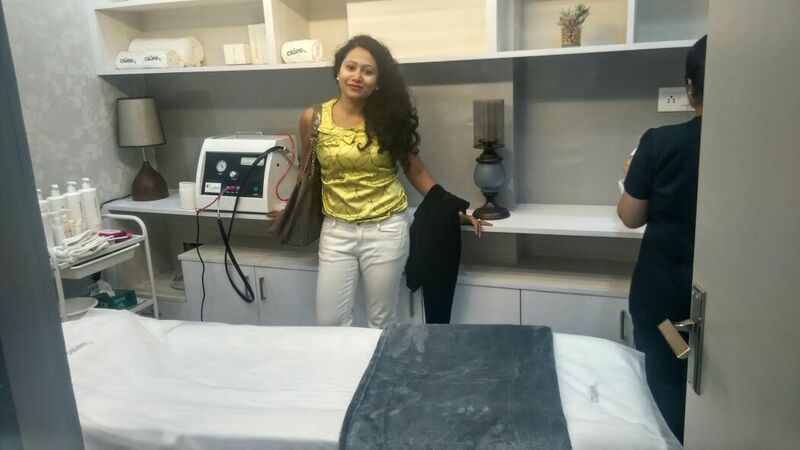 Their therapists are not only well trained and experts in their field but also very sweet and polite. My skin needed some TLC after our super adventurous trip to Australia. 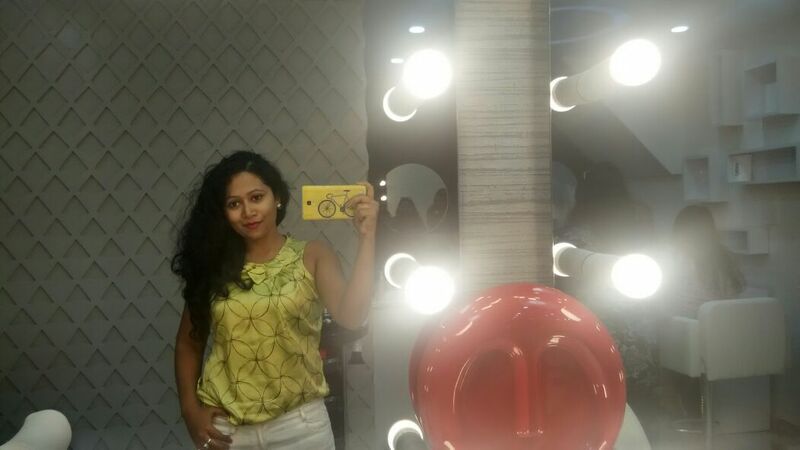 So I went for the Micro Dermabrasion Treatment and I am really glad that I did. I was taken into the skin treatment room and made comfortable. Soft music was playing in the background. Firstly my make up was taken off. Then my face was sprayed with a toner. They use Skeyndor products. Also they never dab toner, they always use a spray. Then it was time for Microdermabrasion. For the uninitiated, it is a process of exfoliating the top most layer of the skin. This process removes the dead cells, tanning and unveils the fresh layer of skin underneath. 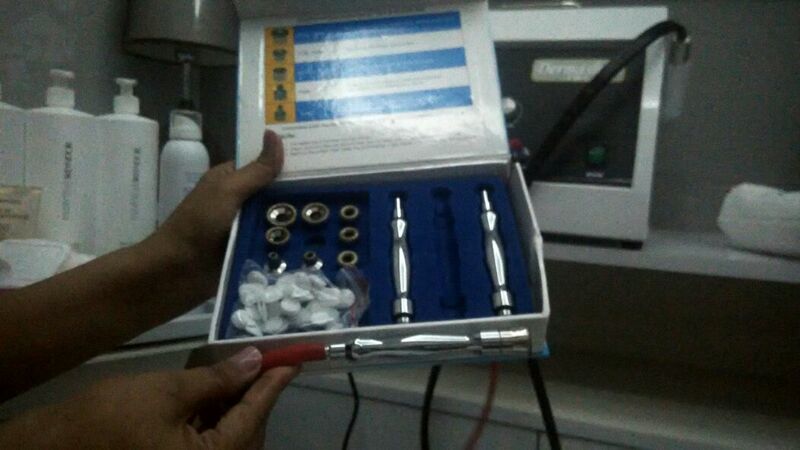 My technician Isha, took out the instrument with a diamond nozzle. Then she set the suction pressure. It's usually set to a very gentle level for the face. When the process started, I experienced mild suction on my facial skin. The device was sucking away all the dead cells. 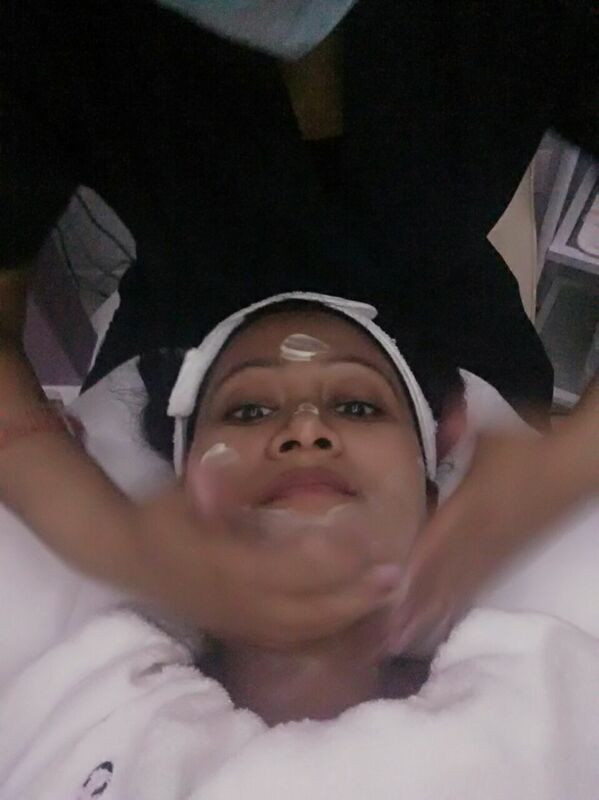 My therapist particularly concentrated on my nose and chin area as those are very prone to blackheads. This process lasted for about 20 minutes. The area around my nose and mouth particularly felt very soft and smooth because those are the toughest part of my face. I felt very fresh. Then my therapist removed the leftover blackheads with the comedone remover. The Microdermabrasion process removes 80 percentage blackheads, rest has to be removed manually. After that she applied a mask on my face. I relaxed to the soothing music. She gently massaged my head in the meantime. 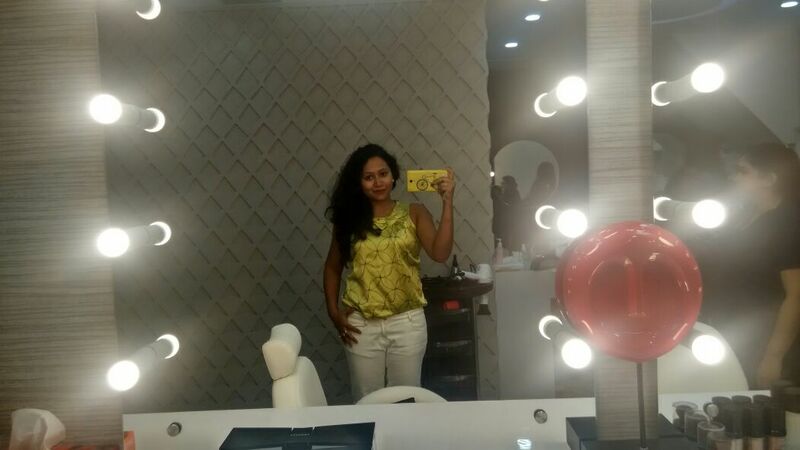 After 10 minutes, the mask was wiped off and toner was sprayed. The treatment was complete. My face felt fresh, soft and supple. Initially my face appeared slightly red and swollen which subsided after few hours. The treatment is absolutely non painful. My facial skin got a new lease of life after getting tortured by the Australian sun! Staff was very polite and courteous and well spoken in English. Who can't opt for Microdermabrasion? 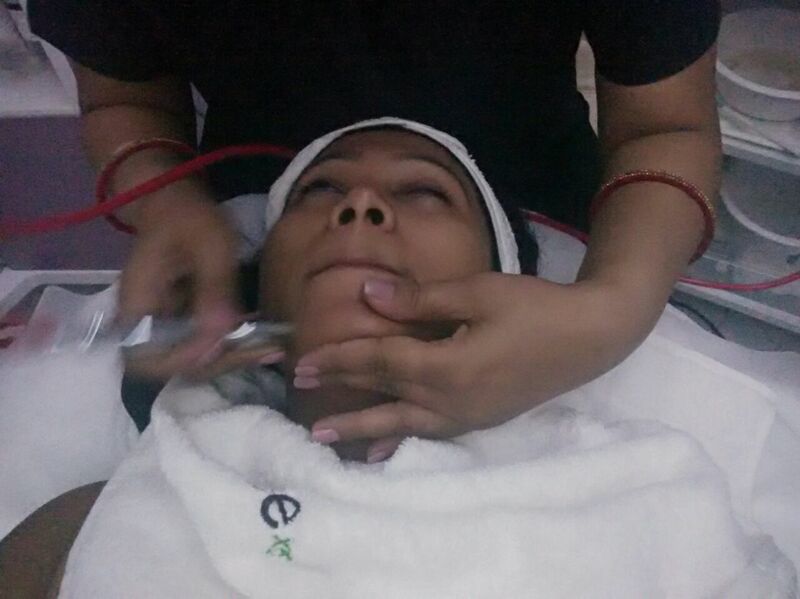 Those with active acne and with any facial cuts should not go for this treatment. I am looking forward to more such sessions at the Calee clinic in the future! Your face glow I believe we should do what its best and suitable for our skin and go for it with the help of dermatologist, have a great day. Thanks for sharing babe! Ill def. look into this more! !